LAKE SIMCOE – Welcome to your private oasis at this magnificent new build. 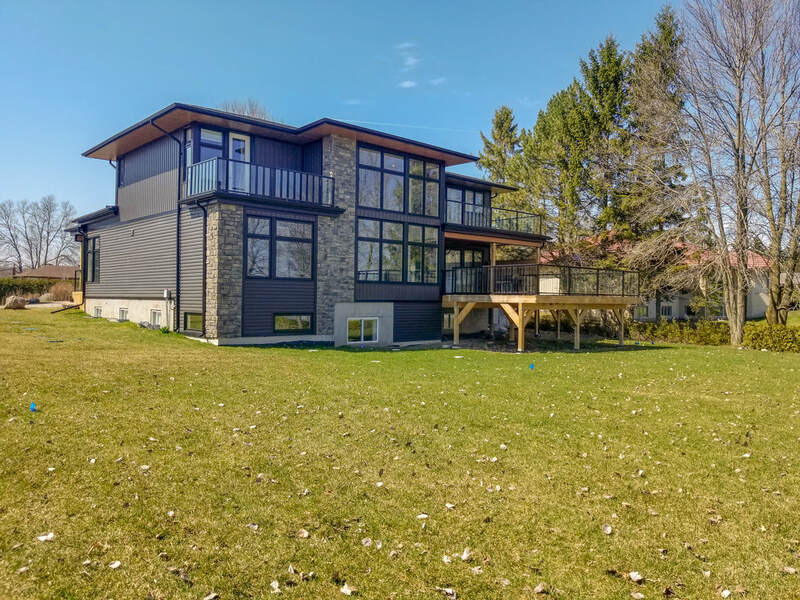 This Lakehouse cottage is an Idyllic 150’ Southeast facing level un-obstructed view to gently sloping with a boathouse 1.3 acre estate size property on exclusive Lake Simcoe. 6 bedrooms, 5 Bathrooms with soaring ceiling on the main floor Great Room – open concept main floor allows for many gathering place areas to be – covered deck - on the deck - inside at the kitchen - dining table lakeside – with sitting area off the Kitchen and also the Great room around the fireplace with mantel. Inside the foyer you look through the wall of glass to the lake. This exquisite Waterfront Lakehouse! It is a wonderful combination of in town living with a gorgeous waterfront that features easy swimming and easy boating with long views to the islands of Georgian Bay. This 2017 Lakehouse was built by Katlin Custom Home Builder and is located on prestigious Bayport Blvd. 3 bedrooms and 2 bathrooms - Great Room has View of Georgian Bay that grabs you at the entrance doorway – You get drawn into the open concept main floor tastefully designed to maintain the picturesque landscape. A gourmet kitchen with an amazing view of the lake - just off the kitchen/dining is an outside covered porch. SEVERN RIVER - This Muskoka rock and pine setting has 236.02 feet of frontage on Severn River. With 3+ acres this road access property offers you the ability to design and build your dream cottage/home. Well treed with a mixed topography, enjoy fantastic views. Supreme Boating on the Trent Severn Waterway, a worldwide fresh water boating experience. You have access by boat to Georgian Bay and Gloucester Pool. All the amenities of Severn Falls close by and only 1.5 hrs from Toronto Hwy 400 at exit 141. This property offers tons of privacy, mature trees, scenic views & lots of watersport activities. All development fees and lot levies are the responsibility of the Buyer and Buyer to confirm all development with township at the Buyers expense.